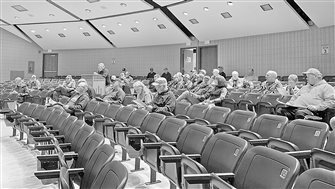 Spring hearings dead: online forum next? JUDGING by what we witnessed in Oneida County last week, the Department of Natural Resources’ (DNR) spring fish and game hearings should be declared dead on arrival. AS WE headed out ice fishing in the early afternoon and discovered somebody else was in the holes we planned to fish, I’m sure my buddy was hoping there was a viable Plan B. A MIXTURE of proposed rule changes and big-issue advisory questions will be on the ballot in every county next Monday, April 8, at the annual spring fish and game hearings. 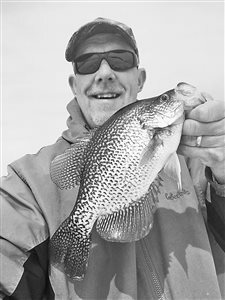 I WAS bent over a hole in the ice while hooking a new crappie minnow to a tip-down rig when a rush of wings startled me. 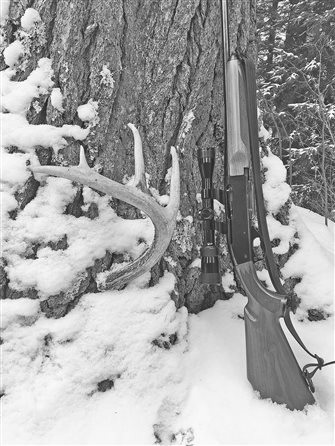 Cure for CWD: discovery or wild claim? DON’T BET the back forty or even your worst deer rifle on this one, but a researcher claims to have found a previously undiscovered bacteria that’s the real cause of chronic wasting disease (CWD), fueling hopes for in-field testing and a vaccine. 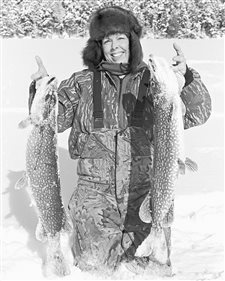 THE Department of Natural Resources (DNR) says that through a new online voting system, the public will have greater opportunities to weigh in on proposed fish and wildlife rules at the spring hearings in April. Pay a bounty for CWD-positive deer? WE MIGHT develop a new profession and boost farm revenue at the same time if the public supports a pilot project that would pay hunters for every deer they turn in that has chronic wasting disease (CWD). A wild idea: allow broadcast deer baiting? TO PROTECT the health of our wild deer population, would you support a statewide ban on baiting and feeding of deer? That’s one of the questions that will be up for a vote on Monday, April 8, at the spring fish and game hearings in every county. 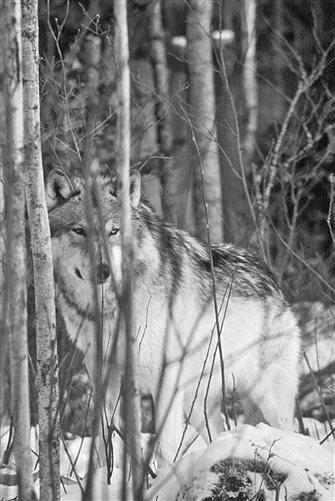 THERE are numerous reasons for today’s push to control gray wolf numbers in northern Wisconsin, but none of them are more significant to me than taking some pressure off the national forest deer herd. 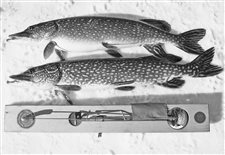 IT HURTS to see photos from those tribal muskie spearing tournaments every winter because I know well the heart and passion of die-hard muskie anglers who release everything and can hardly sleep at night when a fish gets hooked too deep. 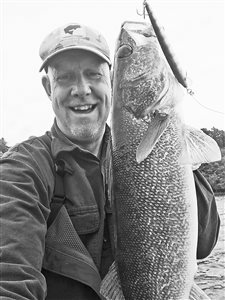 Wolf River bag limit going to three walleyes? IF YOU like picking on the Department of Natural Resources (DNR) when they goof up in one way or another, you’re going to love this one. THE BAD news is that for the first time, the West Nile virus has been discovered in Wisconsin ruffed grouse. According to the Department of Natural Resources (DNR), it was found in three of 16 grouse that were found sick or dead last fall. I WAS feeding line down an ice hole in 26 feet of water, a nasty wind biting at wet hands as it became far too apparent the lead sinker was too small for this depth of water. 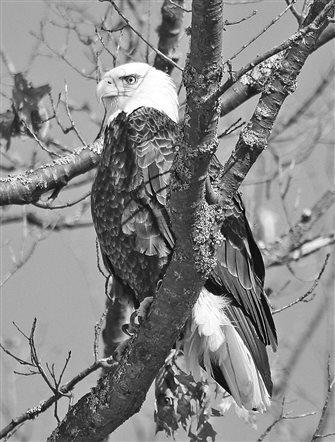 IT TURNS out that Oneida County has not maxed out on bald eagle nesting territories, as the state’s 2018 population survey showed 13 new nests and yet another statewide record as part of the bird’s remarkable comeback in Wisconsin. A DROP in hunting license sales the past 18 years has lowered conservation funding, leading to staff cuts and reduced management activities, a new report shows. 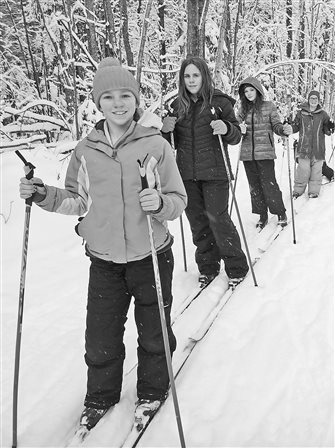 THE START of winter sports also means the beginning of the student workshop season at Trees For Tomorrow in Eagle River, a nonprofit conservation specialty school that educates more than 5,000 students every year. 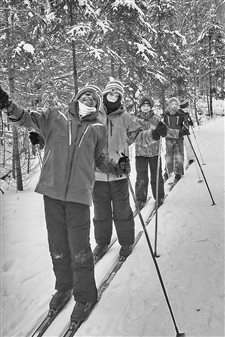 IN THE heart of the Christmas season, it is time once again to formulate a “wish list” in regard to some of the nagging issues that impact those of us who live to spend time in the great outdoors. 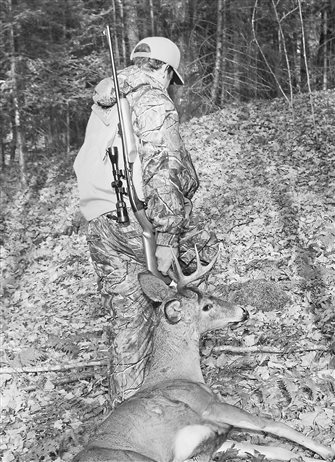 THE FINAL afternoon of the 10-day muzzleloader season found the scribbler sitting on a trifold chair within the branches of a big balsam tree, my last chance at a buck with the gun. 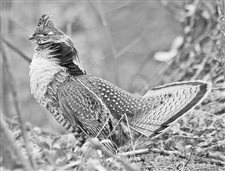 SAY what you want about the downward slide in ruffed grouse hunting compared to the glory years, Wisconsin’s North Woods still ranks among the top regions in the country for chasing this elusive game bird. Our final shot at reasonable wolf control? IT APPEARS that the U.S. Congress has one shot in the next month at passing legislation that would give states management authority over gray wolves. 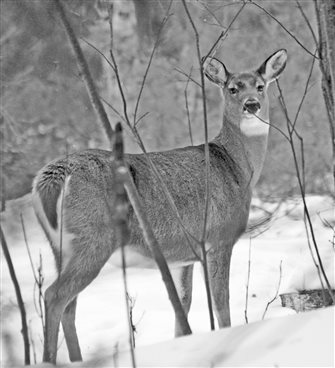 FALLING snow and a lack of rutting activity in the snowbelt of northern Vilas County subdued deer movement on opening day last Saturday, making it a tough opener in the state forest. 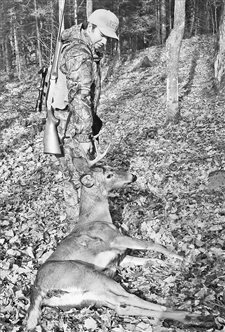 THEY say you can’t shoot a monster buck if one does not exist in the area you are hunting, the point being that scouting and flexibility are essential for people who seek out trophy deer. Native nonresidents deserve break on fees? HAVE YOU ever wondered why the Department of Natural Resources (DNR) doesn’t treat our native sons and daughters a little better when they leave Wisconsin for a career, but still want to hunt and fish here? WE LET the dog loose and turned our faces into a light breeze, ever anxious for the first rooster pheasant to bust from cover, cackling for all it’s worth. 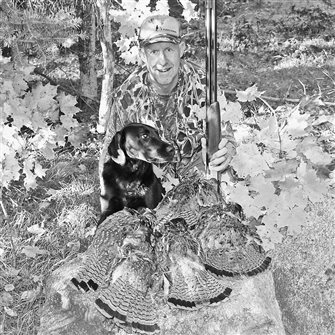 It’s on the cooler days of late October that hunters across the country get the urge to chase ringnecks, the king of upland game birds. 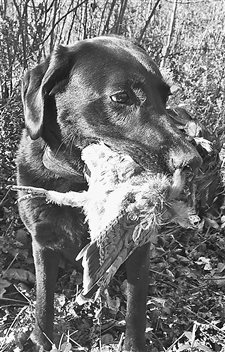 IF YOU said there was a chance I’d shoot a limit of grouse on a two-hour walk after work one night this month, the response would have included something about a doctor’s visit and a head examination. 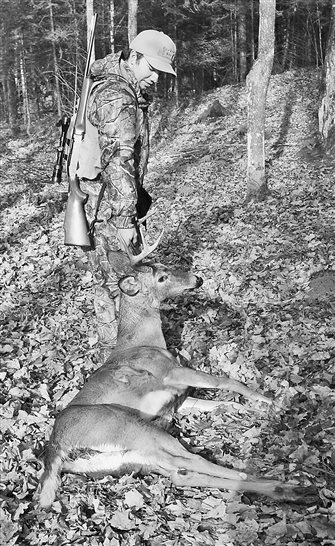 Deer debate: will rampant cheating return? WE WERE sitting around the campfire the other night, talking about the state’s brilliant new deer tagging and registration system, when the tone turned to downright cynical. 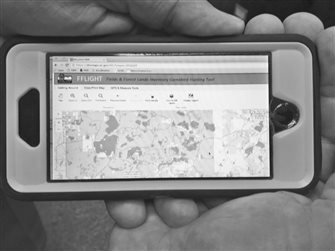 THE DAYS of striking off into a public forest and walking miles just to locate pockets of aspen and other potentially good upland bird cover are quickly ending, for technology is about to revolutionize how we scout. I CRAWLED into a tree stand at 6:15 a.m. last Saturday on the first hard-frost morning of the fall season, hopeful that deer would have fed heavily and might be filtering through the hardwoods after daylight with a late return to their favorite bedding area. IF YOU set your sights on finding the best places in America to celebrate National Hunting and Fishing Day, this unique area of northern Wisconsin would be among the top choices. 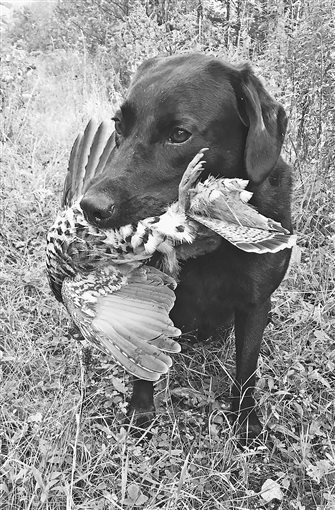 AS WE embarked on yet another grouse opener last Saturday morning, the scribbler walking trails with Gracie out in front, it didn’t take long to rekindle exactly why this sport is all about the dog. 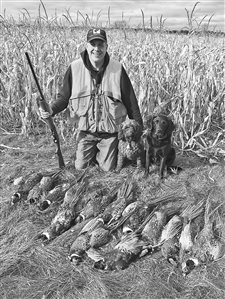 DID YOU ever wonder why there’s an army of volunteers in this country, more than 50,000 strong, who donate countless hours as chapter committee members for Ducks Unlimited? 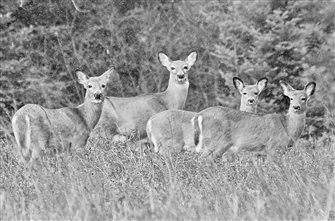 FOR the first time in the history of Wisconsin deer hunting, most hunters will no longer be able to cross county lines with a deer they’ve harvested under a new state regulation. 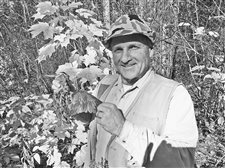 THE mission to engage more hunters in the future of their sport to help promote the creation of healthy forest habitat is gaining serious ground thanks to the Ruffed Grouse Society (RGS). I FLIPPED a chunk of crawler toward the undercut bank and let the current do its thing, naturally, as the line peeled off the spinning reel until the bait reached its destination. THEY SAY the pendulum of power swings easier in the opposite direction when one group abuses the system, and that is exactly what is happening with proposed modifications to the Endangered Species Act. The Trump Administration, lawmakers and lobbyists have joined forces to overhaul that 45-year-old law because it has been misused in a variety of ways. 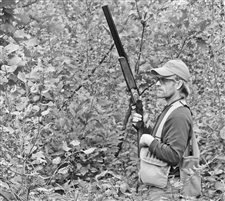 THERE is so much debate going over the mysterious drop in adult ruffed grouse numbers that the citizen-run Natural Resources Board (NRB) wants to close the grouse season early this year. At issue is an unexpected 34% decline in spring drumming counts this year despite a 30% increase the previous year, which records going back to 1964 indicate has never happened when the population is growing and headed toward the next peak in the 10-year population cycle. 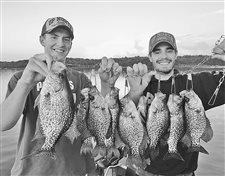 SCORCHING temps this summer have caused water temperatures to exceed 80 degrees, pushing a lot of panfish out of the shallows and into deeper water. 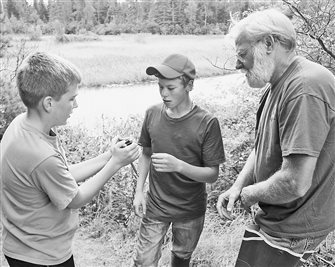 That was going to make finding fish a little more challenging for Kids Fishing Day in Eagle River, the scribbler surmised as he scouted several lakes prior to the July 12 event. 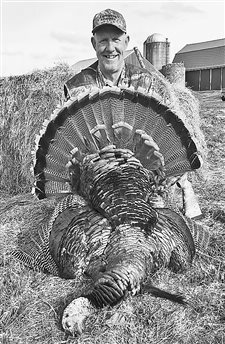 THE MAN who taught the scribbler about fishing, hunting, camping, waterskiing, golf, newspapering, faith and life in general breathed his last July 12. My dad died last week, at age 89. 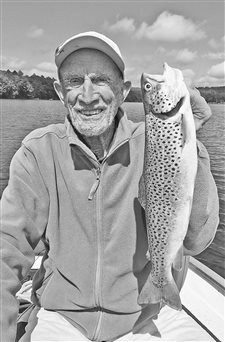 Many have seen the face of Leland H. “Korny” Krueger on these pages in recent years because we had a decade-long stretch where he would give up chasing the little white ball for a couple of days each year to fish in the North Woods. I’VE HAD some pretty crazy moments in the woods and on the lakes over the years, taking photos of everything from bear and angry fishers to fawns, fox pups, dive-bombing eagles and albino deer. 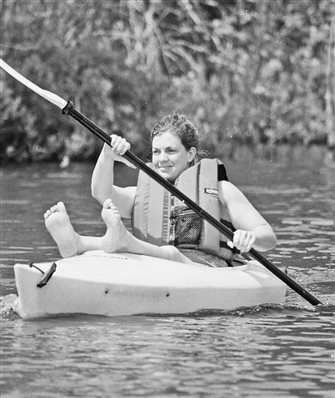 While the list of species is quite long, some of those outdoor experiences turned out to be real adventures because of the unexpected things that occurred. UNIQUE is the right word to describe the Three Lakes Fish & Wildlife Improvement Association, one of the few truly local nonprofit conservation organizations in Wisconsin. 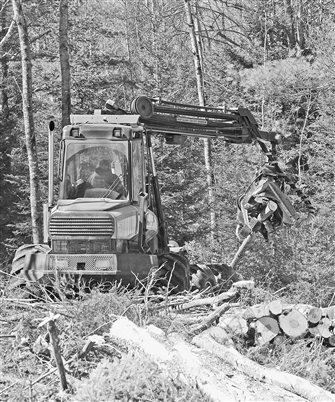 Few would guess that a community with a little more than 2,000 residents could support a full-fledged nonprofit that raises tens of thousands of dollars each year in the name of conservation, youth education, habitat work and the enhancement of facilities used by hunters and anglers. 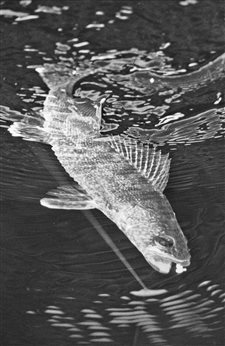 WE WERE watching bobbers dance in the ripples of an east wind, attempting to suspend sucker minnows over thick, deep weeds where the northern pike like to lurk in June. It was bluebird weather with sunny skies and not very much wind, so jerk baits and swim jigs would have been ineffective compared to the teasing nature of a live, wounded-looking minnow. 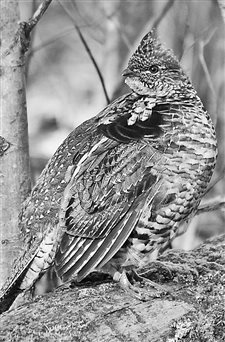 GROUSE drumming activity in the northern forest region dropped this spring to its lowest level since 2005, confirming last fall’s dismal hunting reports while puzzling wildlife biologists who had been tracking a population climb toward the next peak in the cycle. Spring surveys on 43 established northern transects produced only 1.28 drums per stop, a 38% decline from last year and the lowest level recorded in the past 13 years. 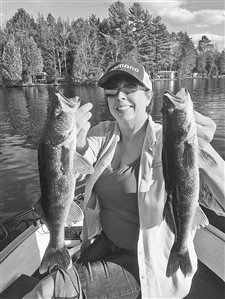 THEY say variety is the spice of life, and so it is for anglers in early June when there are so many choices on what species to chase and what lakes to fish. The harvest seasons will be open for every species when the bass catch-and-keep season opens this Saturday, June 16, adding another choice to the lake mix with walleyes, muskies, northern pike and panfish. 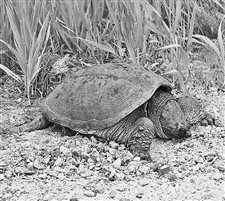 SEATED at a local bar and grill the other night, a fellow patron was entirely bent out of shape while looking at photos of a huge snapping turtle that was crushed and killed by a vehicle on a rural road near his house. WE WERE trying to explain how to detect the difference between a weed and a walleye while working a jig and minnow combination when suddenly, out of nowhere, our guest set the hook. It was an early-morning outing on the Three Lakes Chain, on a weekday, and we pretty much had the lakes to ourselves prior to the big holiday weekend. 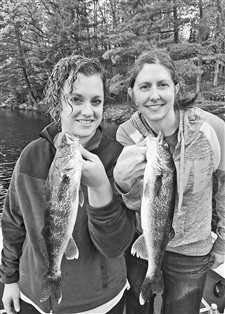 It was a fishing trip with the girls again, this time daughter Melissa and daughter-in-law Jalonna, so there was no big surprise that one of them came up with the first hook-set of the morning. MY QUEST to get more than still shots of a male ruffed grouse on his favorite drumming log, during spring breeding season, has been fulfilled. 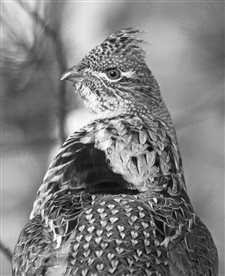 I love those nature photos of a fanned grouse at his best, don’t get me wrong, but they just don’t show enough to our readers about the exact manner in which the drumming sound is created. People have told me they beat their wings together. They’ve said they pound their wings on their chest to make that drumming sound. It appears that neither is correct. 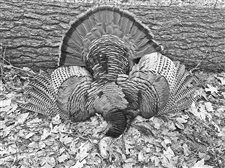 IT WAS a long sneak to the top of the ridge, using gullys and depressions to hide my frame, but there were no turkeys to be found in that favorite strutting area upon arrival. 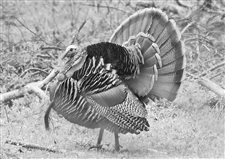 The good news was that I didn’t spook anything along the way, which meant there could be a chance for success if a gobbler returned to his ridgetop playground. 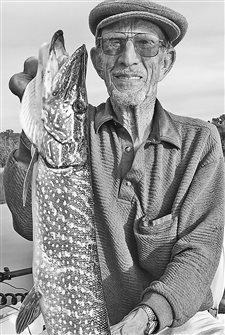 THE ANCHOR had barely reached the bottom of the Wisconsin River before my fishing partner announced “fish on,” and a scramble ensued to free the net from a tackle box and bench seat in the old 14-foot Alumacraft — at one time, the staple of the fishing industry. Wife Alice had fired a cast downstream as I was still maneuvering the boat into position in the current, anxious for that first walleye to grab a jig and minnow that was suspended under a slip bobber. And her luck, on the first cast, pretty much told the story of how that outing would go. 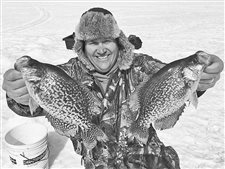 IT WAS hard to believe last Sunday morning that just six days before the open water fishing season officially opens, the scribbler was standing on 27 inches of ice catching crappies. And that was on the dark waters of the Three Lakes Chain, pretty much the second type of lake to thaw behind the really shallow waterbodies. 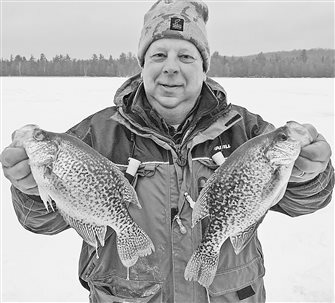 The ice would be thicker and will last longer on those deep, clear lakes, which include North Twin, Trout, Lake Tomahawk, Butternut, Big Arbor Vitae and probably Big St. Germain. 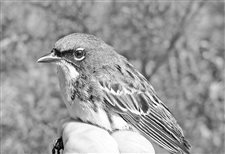 RECENT publicity from the Ruffed Grouse Society (RGS) about the importance of young forest habitat has mentioned the endangered Kirtland’s warbler as an example of a nongame species that is helped by vegetative management, i.e., logging. 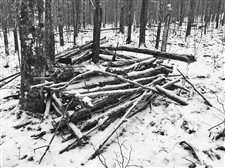 For the record, the organization’s use of several warbler species to argue for more active timber management in Wisconsin has integrity not found in the cries of wilderness proponents who used wolves, pileated woodpeckers and scarlet tanagers to argue their cause — with laughable results. IF YOU’VE ever wondered why it is difficult to catch anything but a cigar-sized walleye on the Three Lakes Chain, there is an easy explanation. Natural reproduction is virtually off the charts on this stained waterbody, and when you combine that with slow growth rates, you end up with a ton of little walleyes. 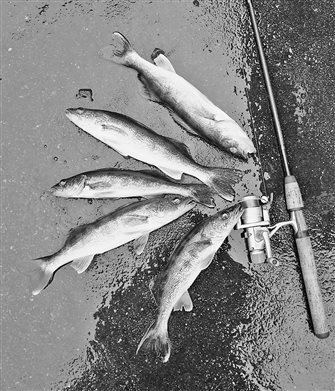 Part of the problem with growth rates is that there are just too many walleyes competing for the same food supplies, which is why the average walleye takes five years to reach 13 inches. 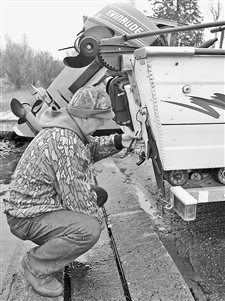 THE age-old question of how a big predator fish such as the muskie impacts other species, including walleyes, crappies and other panfish, has developed into quite the battle in Minnesota. Headlines in some major newspapers there indicate that the Minnesota Legislature has declared war on muskies, introducing a bill that would blow up the long-range muskie management plan of the Department of Natural Resources (DNR). 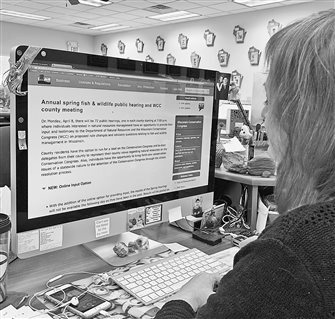 SOME wide-ranging, serious advisory questions on dozens of topics that might make their way to proposed rule changes in coming years are on the ballot in every county next Monday, April 9, at the annual spring fish and game hearings. 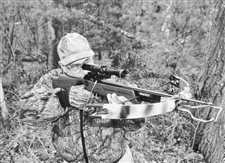 The big ones come from the citizen-run Natural Resources Board, which wants to know if sportsmen and -women favor eliminating group deer hunting and shortening the length of the crossbow deer season for able-bodied, nonelderly hunters. WE WERE looking over a small spread of tip-downs when one of the rod tips popped, sending the line, bobber and tip slowly toward the icy hole below. 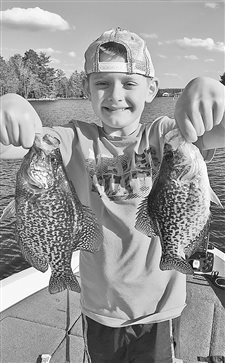 My fishing partner was all over that bite, setting the hook with reckless abandon and hauling in a beauty of a crappie, all 11 inches of it. We were suspending small minnows under bobbers in deep water that’s adjacent to a rock bar when the bite occurred. 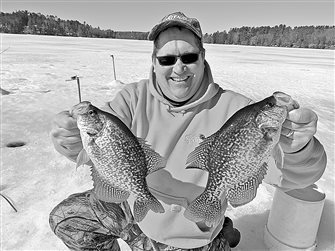 That’s where anglers find those golden-sided crappies in late winter. 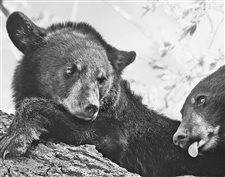 THE BEAR capital of the United States is suddenly setting a lower kill quota and is adjusting permit numbers to reflect lower hunter success rates, a sign that the population has finally stabilized. Wisconsin issued 12,800 permits and had a harvest quota of 5,000 bear in 2017, yet hunters killed only 4,159 animals. That’s a surprise considering that estimates still show we’ve got just shy of 30,000 bears in the Badger State. IN A YEAR when there are virtually no significant rule changes that will be voted on at the spring fish and game hearings, there are still some advisory questions that deserve public scrutiny. 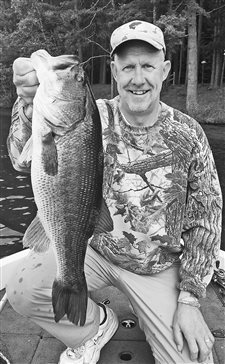 Fisheries managers with the Department of Natural Resources (DNR) are asking two bass-related questions that could form the basis of future rule changes. THE Natural Resources Board (NRB) is wondering whether state anglers and hunters would support a new $5 annual fee, a proposed permanent funding source for management of state public lands. It’s being floated as an advisory question at the spring fish and game hearings, scheduled in every Wisconsin county on Monday, April 9. While the nuts and bolts of the fee system are just as unknown as where the new revenue would be spent, the board claims the statewide automated licensing system could easily accommodate the new tax. 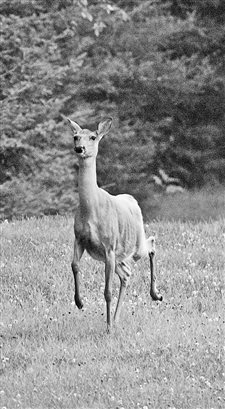 THE Natural Resources Board is presenting two deer-related advisory questions on this year’s spring fish and game questionnaire, and there’s little doubt that both will be controversial. 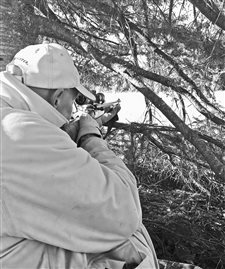 The first is whether sportsmen and -women in Wisconsin favor eliminating the group deer hunting law that’s been in place for decades, allowing gun-deer hunters to fill another person’s tag as long as they are in direct visual or audio contact. THE WIND was howling with gusts up to 25 miles per hour as we set up the ice fishing tent on a Sunday afternoon, not to be denied an outing with today’s very portable, high-tech shelters. 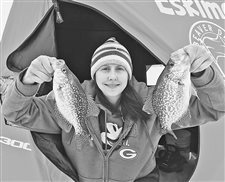 There wasn’t a soul on this particular lake, a very popular ice fishing lake for panfish, which should have told us that the wind forecast was a lot stronger than what we experienced in the driveway while packing the truck. Or maybe the fish weren’t biting. WE’VE all seen or heard stories about some isolated instances where the state deemed some piece of land or part of a lot to be wetlands, causing headaches for property owners. 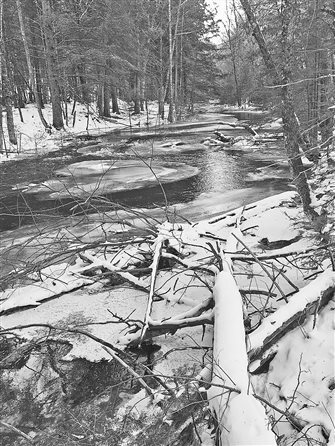 In 2001, Wisconsin rushed into action after a U.S. Supreme Court ruling and became the first state to approve protections for a class of land known as isolated wetlands — potholes, woodland depressions and lowlands that do not connect to interstate waterways. THOUGH it’s the age of text alerts and emails that come to your cell phone, there is still some snail mail out there that’s worth waiting for with great anticipation. A few days have passed since the scribbler stumbled across a little yellow card in a stack of catalogs and junk mail, most of which were solicitations from credit card companies and premium television carriers. 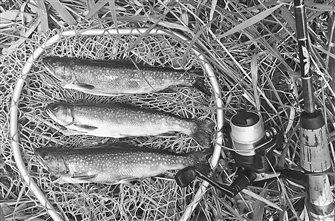 THE maligned yet popular northern pike gets no respect, though it has saved many a slow fishing day and continues to be one of the best-eating fish in Wisconsin waters. 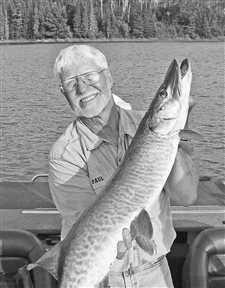 They call its cousin the muskie the king of freshwater. Even the muskie/northern hybrid gets a rather cool name, the tiger muskie. 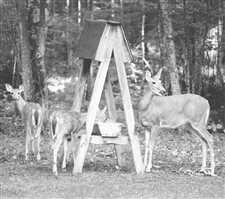 THE STATE of the deer herd and deer hunting in Vilas, Oneida and Forest counties is a complex and often frustrating topic these days, especially since feeding and baiting were banned in response to diseased deer at a Three Lakes game farm. 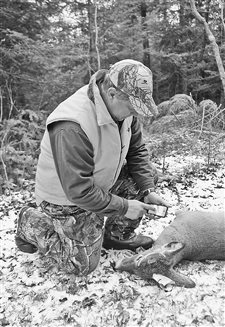 While there is no doubt that mild winters and buck-only seasons have helped the deer herd recover, hunter satisfaction doesn’t seem to be keeping pace. The talk in most hunting circles I’ve been party to is far from upbeat, focused mostly on a lack of decent-sized bucks along with plenty of frustration over failed attempts to pattern deer or to get them in archery range without the use of bait. WHEN IT comes to the great outdoors and all the natural resources that play into the equation, the importance of conservation really begins to hit home. The challenge is properly educating new generations that will carry the torch forward in the years to come, equipping them to strike that all-important balance between economic health and environmental stewardship. We’ve seen some eye-opening advances in sustainable forestry, waterfront stewardship, wildlife habitat improvement, reintroduction of endangered species, recycling of all kinds and general education regarding human impacts on the planet. More lies ahead. GOD must work in mysterious ways because it always amazes me, during a cold spell such as the one we’ve had since Christmas, that people talk about how it is the coldest stretch they can remember. Of course it wasn’t even close to being our coldest weather, but isn’t it great that the human mind can just eliminate or subdue what might be bad memories of nasty weather, cabin fever and possibly, the urge to move to a warmer climate? 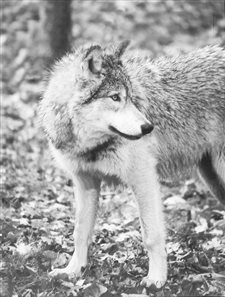 SOME Republicans in the Wisconsin Legislature are proposing that the state play hardball with the federal government to win concessions on wolf management, a move similar to what Idaho did in 2011. In a nutshell, the proposed bill would prohibit state law enforcement from enforcing any federal or state laws related to managing the state’s wolf population. 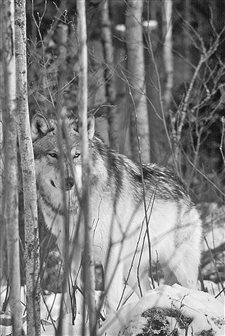 Additionally, it would prohibit the Department of Natural Resources (DNR) from using any funds for the purpose of managing wolves in Wisconsin. 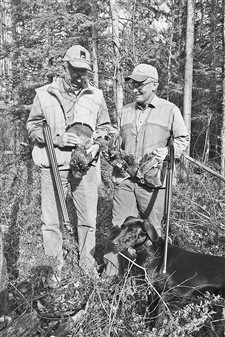 NOW that the ruffed grouse season is winding down for all practical purposes, it’s time to clean some guns, rest a tired dog, and reflect on what we saw and learned on dozens of outings. It will be extremely interesting to see what the spring drumming counts show us about the grouse population in the months ahead, following what might be the worst bird season in more than a decade. 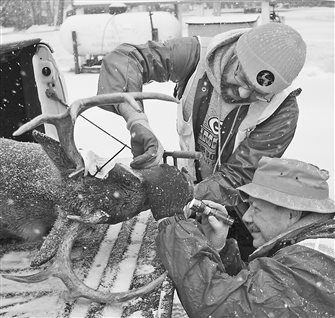 They call it the season of miracles and as we celebrate the greatest gift the world has ever known, it can’t hurt to ponder how we might help improve the future of Wisconsin’s outdoor traditions. 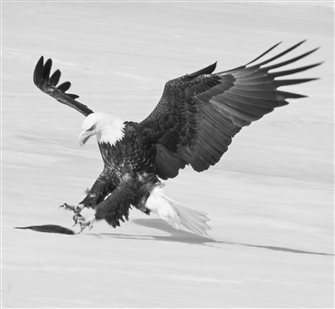 IF YOU thought there might come a time when eagle populations in lake-rich Vilas and Oneida counties would max out and stop growing, you should be nominated for a national honor. I really didn’t think that was possible until the Department of Natural Resources (DNR) reported this fall that habitat-rich Oneida County may have reached its biological carrying capacity for the big raptors, as the population remained stagnant despite record growth elsewhere. IT WAS 4:10 p.m. on the final day of the gun deer season, the holiday weekend visitors headed back home, that I got one last brief walk in the deer woods before the traditional nine-day hunt ended. The weather was a little too calm and sunny for much hope in the way of pre-darkness deer movement, but having seen zero deer in the national forest on opening weekend, the hope was to just see a deer. 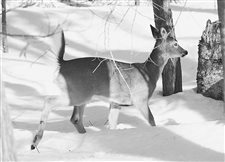 WHEN I came to the North Woods some 40 years ago, as a young journalist and sports writer, biologists and wardens with the Department of Natural Resources (DNR) were extremely concerned about deer poaching and how it was impacting herd growth. 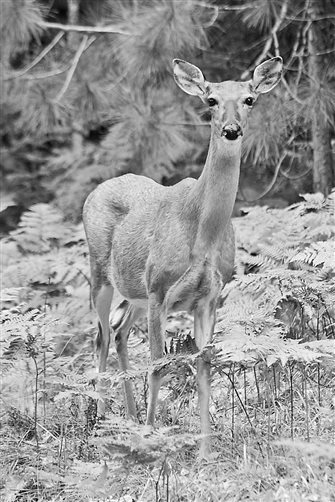 The problem was so severe that some biologists believed that as much as one-third of the annual deer harvest could be attributable to poaching. Helpless to do anything about it, that’s when the fines were increased to more than $2,000 along with revocation of privileges. 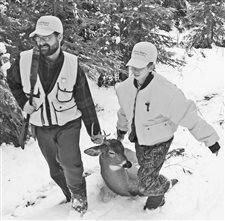 THE 2017 gun deer season opened last Saturday with a dusting of snow but less than ideal weather that included rain and a lack of crunch on the forest floor. 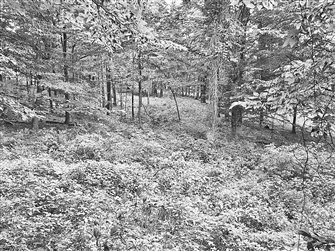 The scribbler took a chance on the Twin Cities of Alvin/Nelma fame, hunting hardwoods in the national forest with the hope that there would be some rutting activity on the ridges. MUCH has been taught, written about and heavily marketed in recent decades on hunting safety, and the world should know that without a doubt, it is helping make our woods and fields safer. 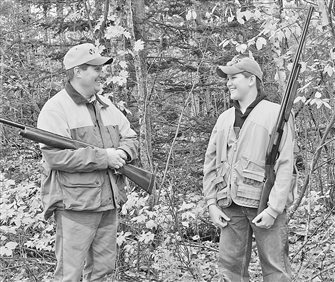 It is worth celebrating that Wisconsin’s hunter safety program and every spinoff project has resulted in making the sport of hunting one of the safest sports in the state. 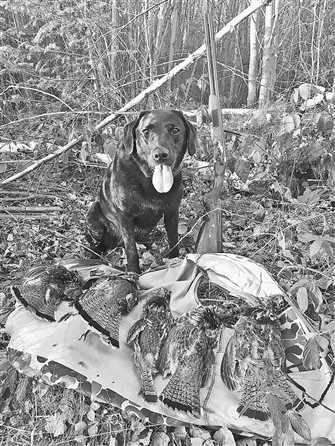 THE BEAUTY of game farm pheasant hunting is that spur-of-the-moment opportunity to sneak in a quick hunt, and so it was last Friday on what was pretty much the only dry, snow-free day of the week. 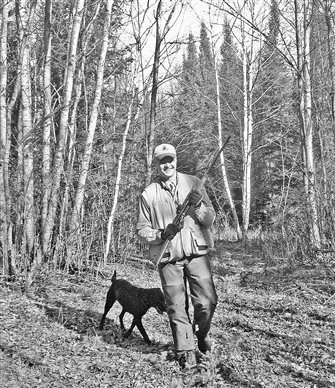 Son Steve has been crazy busy this fall with work, kids and the construction of a new home in Minnesota, but he’s been trying to get out grouse or pheasant hunting for weeks. THERE are no world championship trap or sporting clays trophies in my future, but like most avid hunters, there’s always that chance for brief moments of shooting brilliance. Those of us who hunt basically live for those incredible moments when the sun and moon and stars align, and at the right place and time, we pull off a shot or two that are totally uncharacteristic. PEOPLE who share time in the great outdoors can develop a bond for life, even if the partnership gets sidetracked for say something like 40 years. I got a call a few months back from Steve Niemuth, a Marion native who’s been working oil rigs as a safety expert for most of his years since graduating from UW-Madison. 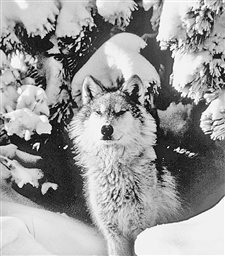 THANK God I don’t have a big emotional hang-up over gray wolves and what some people believe is the wolf’s right to exist without control or regulation. That was an online comment on a daily newspaper website arguing against the permanent wolf delisting bill introduced earlier this year by U.S. Senators Ron Johnson, a Republican, and Tammy Baldwin, a Democrat. 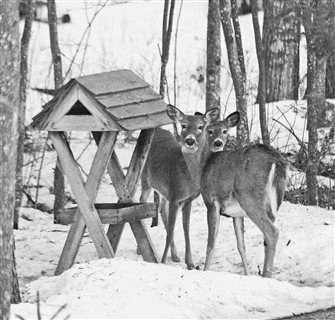 IN LIGHT of last week’s announcement that the state is ramping up chronic wasting disease (CWD) surveillance efforts in Oneida, Forest and Vilas counties, you have to wonder if we know the whole story. It seems a little crazy that the Department of Natural Resources (DNR) is doing all this testing on the wild deer herd when the problem should be confined to a game farm, a shooting preserve, in the town of Three Lakes. I WAS walking down a logging road headed for the first tree-stand adventure of the season when a small doe appeared in the distance, more than two hours before dusk. That put the scribbler into more of a sneak than a walk, hoping not to spook the first deer or worse yet, prompt a bunch of cautionary snorting that tells the whole deer world that something’s up. 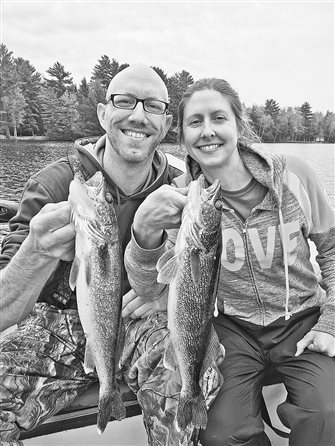 IF YOU set your sights on finding the perfect place in America to celebrate National Hunting and Fishing Day, this unique area of northern Wisconsin would be among the top choices. That was on my mind last Saturday as we hit the grouse trails at the crack of dawn, the mercury already at 67 degrees and heading for the mid-80s with high humidity. 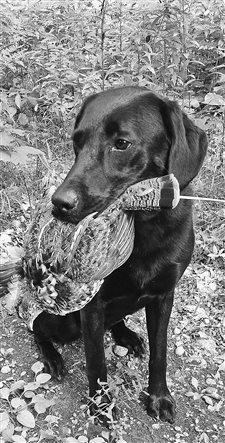 GRACIE lit up like a Christmas tree, tail wagging and body bouncing off the trunks of saplings, as we came upon fresh bird scent in a remote stand of aspen and blackberry brush deep in the hardwoods. 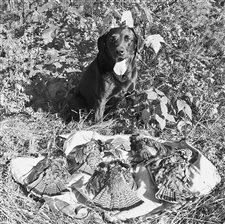 We had walked for many unproductive hours just waiting for that one moment Sunday afternoon, when she took a track off the trail and flushed a grouse that I could barely see through the leaf-covered tops. WETLAND conservation is crucial for a lot more reasons than what the average hunter cares most about, which is providing habitat to sustain huntable populations of ducks and geese for all time. That’s the greater story of the organization that goes by the name Ducks Unlimited (DU), for the 13.9 million acres of marshlands and grasslands it has conserved the past 80 years do so much more. THE WOMAN who became the front-running puppet in Gov. Scott Walker’s mission to dismantle and weaken the Department of Natural Resources (DNR), Secretary Cathy Stepp, is calling it quits. 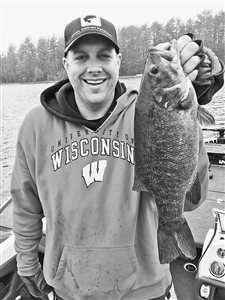 IT WAS one of those overcast, windy evenings that every angler longs to see on a night when there’s time to fish, and in August that means grabbing the bass equipment and swim jigs. Armed with a 7-foot graphite rod and bait-cast reel loaded with 15 pound braid, the scribbler hit the water hoping for some action on a night last week. 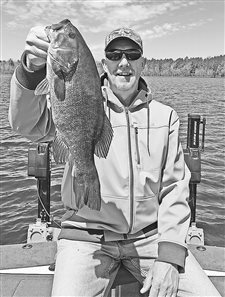 I was using a 3/8s ounce weedless swim jig with a black and blue skirt, tipped off with six-inch black grub that’s big enough for muskie baits. And of course, a steel leader, because those toothy northerns can cut everything else. WE’RE less than a month away from the start of the fall hunting season, so it’s a good time to think about what it might take to ensure we never miss out on the hope and anticipation of trudging through forests filled with birds. 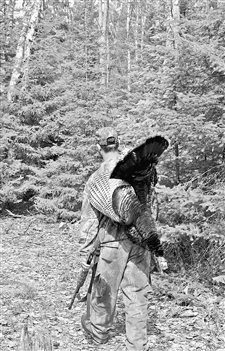 Late August is a time of transition, in both the weather and in the minds of hunters. Cooler nights. Shorter days. There’s a longing for autumn woods and flushing birds that is undeniable. 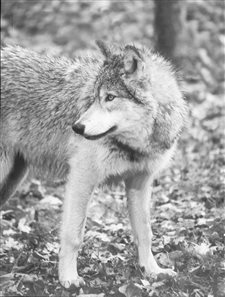 NOBODY ever explained that reintroduction of the gray wolf would be a federally orchestrated nightmare for Wisconsin, or ranchers, hunters and pet owners would never have sanctioned the move. If they told us then what a federal appeals court ruled last week, that the Badger State’s efforts would mean nothing until seven other states got fully on board with the same effort, we would have laughed. 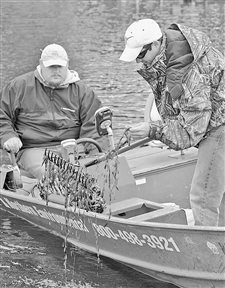 WE WERE floating crawler chunks into corners and undercut banks on an overcast morning last week, as the scribbler attempted to teach the art and skills of trout fishing to a rookie. 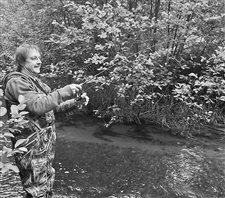 Scott McCain of Three Lakes, the official winemaker at Three Lakes Winery, was proficient with rod and reel but hadn’t ever tried his hand at stream trout angling. WE WERE fishing deep wood with minnows and slip bobbers on a night that was way too calm, but it was a nice evening to spend on the water with a couple of youngsters from Oregon. 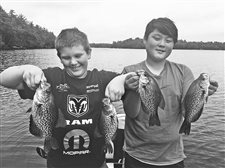 My nephew Trevor and his buddy Ethan made the 1,700-mile journey with family members, and fishing was one of the recreational pursuits that were high on the priority list. 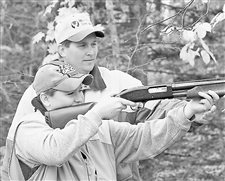 AIMING for the same results of a national push to introduce more people to the sport of hunting, the local chapter of the Ruffed Grouse Society (RGS) will offer a free New Hunter Mentor Program next month. 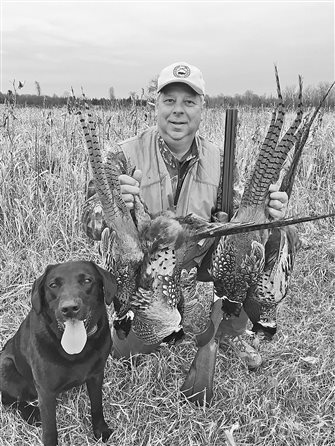 The Chain O’ Lakes Chapter of this well-known conservation group is going to teach gun safety, marksmanship, dog handling, habitat awareness and field skills during two half-day sessions Aug. 19-20 in Three Lakes. 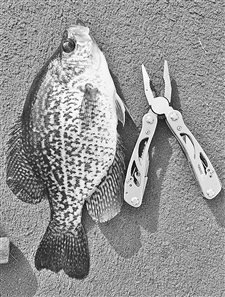 WE WERE working some shoreline weeds with small minnows under pencil bobbers, hoping to catch a crappie or two before hitting deeper water, and two bobbers dropped at the same time. The fight was on and it turned out to be a double for my partners, who quickly rebaited and fired casts back toward the same pier. And both bobbers dropped again. Fish on. 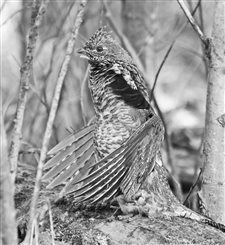 THE GOOD news is that the state’s spring drumming survey for ruffed grouse shows a 30% increase in drums per stop in the 18-county Northern Region. 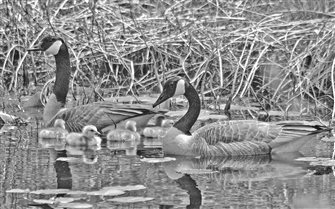 The bad news is that the swing back toward a peak in the population cycle might stall for a year after a cold, wet spring — the kind of weather that can significantly impact nesting and brood rearing success. DID YOU ever notice that some people drive with blinders on, paying little attention to their surroundings and focusing almost totally on the road, while others are constantly waving and beeping at friends? ANGLERS usually have a number of favorite fishing spots to pick from depending on what species and what time of year, but sometimes there’s more to it than how many fish you catch. I’ve noticed lately that my truck seems to like driving east into the national forest, because for some reason, that feels more like home than anywhere else. WORD that my parents were contemplating a permanent move to Texas messed a bit with my psyche this spring, for it meant that there might be just one opportunity left to fish here with my dad. Readers of this column know we get but one fishing adventure a year, for the man who taught me how to fish is aging and he’s generally too busy chasing around a little white ball. 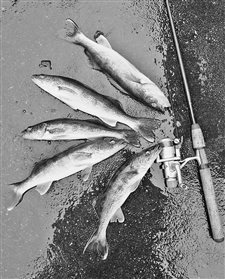 AS I was deep-frying crappie, northern pike and walleye last Friday night as a treat on setup night for a fundraiser, the favorable comments from fellow volunteers reaffirmed one of the reasons for my fishing passions. 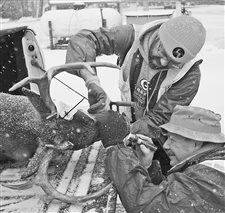 The gang from Three Lakes Fish & Wildlife Improvement Association was preparing for its annual Wild Game Feed, and it’s only fitting that the workers would be fed with something truly wild. 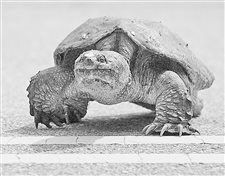 IT WILL be days, not weeks, before the first turtles appear on area roadways as they trek toward their favorite sand and gravel areas to lay eggs. Those days are a grand event for turtle reproduction and long-term survival, but they can be a life and death situation for many that cross highways and roads to reach their egg-laying grounds. 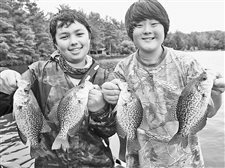 IF YOU teach your kids how to fish in the right way, keeping it fun and slowly planting the seed of fishing fever within them, the benefits will be many for all involved, and for many decades to come. 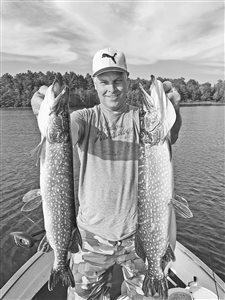 THEY say variety is the spice of life, and so it is for many anglers who want to chase different species in a given day, and not always on the same lake. 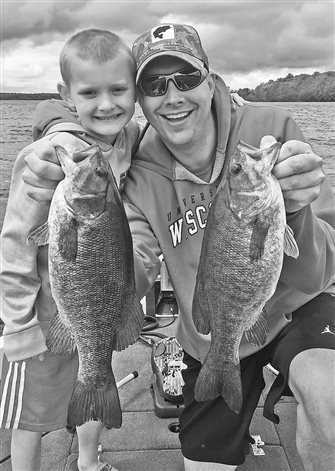 We’ve got a rich history of sport fishing in the Badger State, and the angling community has never been more mobile than it is today. The modern equipment of the information age makes it easier to study lakes thoroughly, long before you arrive. THE GOOD news is that today’s small jerk baits for bass and walleye come with some incredibly tough treble hooks that are plated in black nickel and sharpened with absolute precision, a nightmare for any fish that strikes. 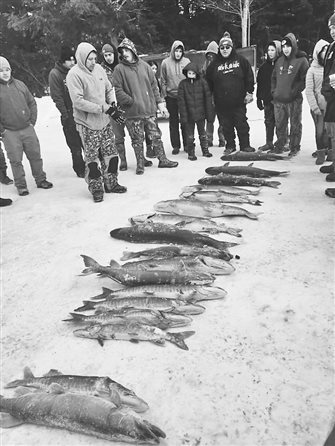 THE WORST type of cold front known to the world of fishing hit the North Woods last Friday night, and it messed with anglers in a big way on opening weekend of the walleye season. THERE was very little light in the eastern sky as I left the truck, camera equipment in hand, headed for a tent in the aspen where the drumming log of an active male ruffed grouse had been located.